HANK PHILLIPPI RYAN: Wow. I knew Lori Rader-Day was cool—brilliant and hilarious and skilled and talented and hilarious. (worth saying twice). You definitely want to sit by her at whatever event. She's such a terrific author, and her new book Under A Dark Sky will have you—well, keeping the lights on. But even though we all have funny stories about weird relatives, Lori’s family story is nothing less than stellar. Wait til you hear it. One of the best things about being an author is that you get to meet other authors. Never has this perk been more enjoyable, though, than the time I participated in a book fair in Indianapolis—and was put into the lineup alongside my own cousin. The astronaut. 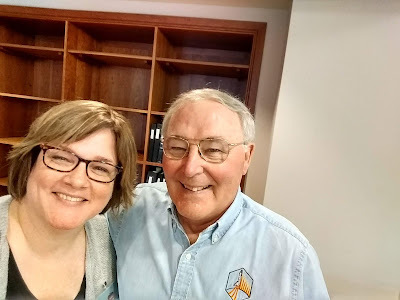 At the time I met Jerry at the book fair, I was still finishing up my next novel, “my star book.” Under a Dark Sky is set at a dark sky park, a place that controls light pollution so that visitors can see the stars the way nature intended. 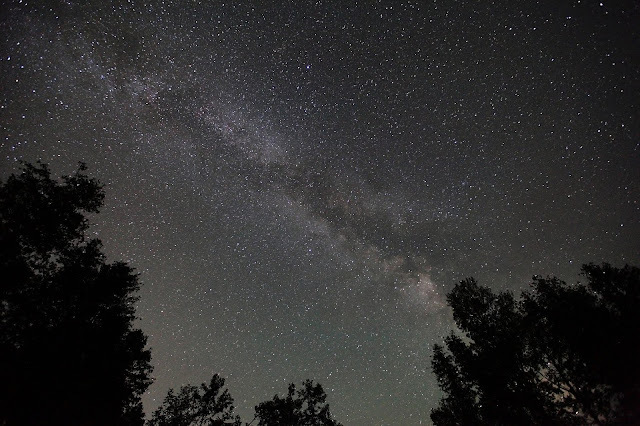 Over the Headlands International Dark Sky Park in Mackinaw City, Michigan, where my book takes place. A young widow keeps a reservation her husband made before his death, and then things really go wrong. To write that story, I studied up on constellations and their stories, on the moon and its two faces, on all things stars and space—and here’s an author who HAD BEEN TO SPACE. It boggles the mind, when you really think about it. Jerry Ross has been 243 nautical miles away from our planet—straight up. He has spent a total of 58 days, 52 minutes in space. He’s done nine spacewalks, a total of 58 hours and 18 minutes outside, dangling in the void. (He probably wouldn’t use the word dangling. Dangling is probably a gravity thing.) He set the record for most flights in space by going up seven times, a record that has since been tied by fellow astronaut Franklin Chang-Diaz, but Jerry got there first. And—you’re not ready for this. OK, here it is: Jerry Ross has orbited the Earth 914 times. 914! I had to talk with him about it. Lori: At what point did you decide you wanted to go to space? Jerry: I grew up at a time before any satellites or people had flown in space. The articles in newspapers and magazines captured and fueled my imagination. My mother helped me make scrapbooks and making those books helped to educate me as to the types of educations that people who were working in our earliest stages of our space program had and where they got them. I was in the fourth grade when the first satellites were launched into space. I decided then and there to go to Purdue University, become an engineer, and get involved in our space program. Wanting to become and astronaut came later once we started to fly humans in space and the original seven astronauts became my heroes! ...I was between my junior and senior at Purdue when the first lunar landing occurred. Lori: What is it like to go to space? Besides the job, which probably takes up a lot of your time and thinking on a flight, what do you think about when you’re out there? Jerry: Flying in space is an incredible experience. It is hard to believe that you are really there, going around the world every 90 minutes as you fly at five miles per second. Almost any free time (which was really limited, and was normally when we were scheduled to be sleeping) was spent looking out the windows at the Earth. What an incredible fragile looking and beautiful planet we live on! It also looks peaceful and you can't see any of the borders between the countries. Lori: Would you go again if you had the chance? What do you miss about space? What don’t you miss? Jerry: I would love to go again, but it is time for the next generations to have their fun. I miss floating in zero gravity, looking out the windows at the Earth floating by below, and going out on spacewalks. But the thing I miss the most is the people that I got to work with. They were the most talented and dedicated people I have ever known. Working with them on such challenging and rewarding ventures was invigorating and wonderful. Lori: How is looking at the stars from space different than looking at them from Earth? Lori: What do books/movies/the news always get wrong about space exploration? Jerry: We know that flying in space can be dangerous. The books etc always try to emphasize that and to make everything exciting. We at NASA try to make everything as safe as possible. Frankly our flights sometimes appear somewhat boring—and that is the way we like them, to be safe and not overly exciting. There are no aliens and no UFOs! LORI: If like me, you can’t get enough of space stories, Jerry recommends Apollo 13 as the “most accurate” film about space exploration (my fave, too! And also the highly inaccurate Space Camp) and Gene Cernan’s book The Last Man on the Moon for some good reading. But don’t forget Jerry’s Spacewalker. As a frequent flier outside our atmosphere, he’s uniquely qualified to tell us what it’s really like. So the real question you have is...are we really cousins? Yes. Jerry is also the family genealogy expert, compiling the next generation’s updates into a collection for us, and there’s my branch, right down the family tree from—well, Jerry’s wife, Karen, actually. But that’s OK. Jerry and I are related in at least one other way. Give us the stars. Reds and readers, what’s your relationship to the night sky? Are you a stargazer? Or do you even notice? Have you ever been to a dark sky park? And hey, have you ever met an astronaut? Or wanted to be one? Lori Rader-Day is a three-time Mary Higgins Clark Award nominee, winning the award in 2016 for her second novel, Little Pretty Things. She is the author of Under a Dark Sky, and of The Black Hour, winner of the Anthony Award for Best First Novel, The Day I Died, a finalist for the Mary Higgins Clark Award, Thriller Award, Anthony Award, and Barry Award. She lives in Chicago, where she is active in Mystery Writers of America and Sisters in Crime and co-chairs the mystery conference Murder and Mayhem in Chicago. An astronaut in the family? How delightful! While I am definitely a stargazer, I have never been to a dark sky park. But I’ve read “Under a Dark Sky,” Lori, and I loved it . . . .
I’ve met an astronaut or two . . . Gene Cernan, Buzz Aldrin, John Young . . . . We used to have an astronaut at our annual space conference, so there were several others. But I have to admit that meeting Neil Armstrong was a major thrill . . . .
Well, amazing! What annual space conference? A [sadly] now-defunct aviation and space education conference for teachers . . . .
Oh I'm jealous you met so many... I'm a little starstruck about the originals. The Right Stuff is one of my all-time favorite books! Thank you for reading, Joan! How fun that you met him and sat next to him! Had you met Jerry before, Lori? I've always been fascinated with the lunar landing and other astronaut ventures, but I've never met one. We grew up family camping in the Sierras (Sequoia National Park), where the skies are clear and there was very little light pollution. My mom would take us over to the parking lot in front of the campground store at night and we would lie down and learn about the constellations. I still love looking for the familiar configurations in the sky. Can't wait to read the new book! I learned the constellations in Girl Scouts, so funny... and I still point them out! I had probably been at a family event with him before, but as a kid. I was so excited to meet and talk with him author-to-author! And my dad LOVED his signed books! Thank you for reading, Edith!! I’ve never heard of a dark sky park but I’ve been to Montana and it was pitch dark at night so the stars were really clear. I grew up in Indiana, out in the country, and we had PLENTY of dark sky there, but I live in Chicago now and ...nothing. You can see very little from my back yard. Like, the moon. That's it! Roberta, I'm claustrophobic---I could NEVER be an astronaut! But I have a thing for NASA movies. I'm my dad's daughter, for sure. :) Thanks for the comment! Young Jerry Ross had a dream to one day fly in outer space. Only there was a problem. The year was 1957, and no human being in history had ever been launched into space. But Jerry was curious. He wanted to learn about satellites and rockets. So he made scrapbooks about America’s budding space program. His 4th grade teacher challenged him to reach further. With his dream in mind, young Jerry decided upon a plan. He would go to Purdue University, learn to be an engineer, and fly in space. His dream became his lifelong journey. In this book, Jerry Ross recounts his journey with engaging stories, personal photographs, and memorabilia. Chart his path on the map inside the front cover. Study the historical timeline located inside the back cover. 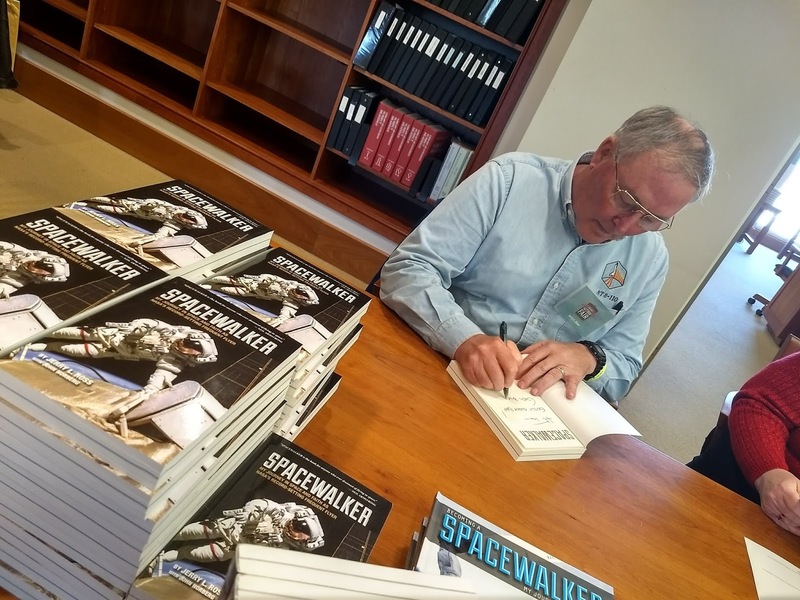 Most of all, read this book to find out how Jerry Ross fought through obstacles and disappointments to fulfill his dream of becoming a spacewalking NASA astronaut. This book challenges the young readers to set goals for themselves and to study hard, work hard, and to not give up too easily in the pursuit of their dreams! I've not ever met an astronaut, but I am rather fascinated by all of them and what they do. I remember the first lunar landing and Neil Armstrong. I love the movie Apollo 13 and also The Right Stuff. And I love being able to see the stars clearly. We often vacation in the mountains of southern New Mexico and you can see the stars quite clearly at night. Just beautiful. Lori, thanks for coming and telling us about your famous cousin, Jerry. I'll watch for his book. Your new one is already on my list. I had not heard of a dark sky park. Another thing to research. And I agree that if you get a chance to see Lori, talk to her, sit next to her at an event, you'll love it. She's great - funny and so interesting. Oh, I loved those movies too! And the right stuff, the book, is terrific. Thank you, Kay!! The dark sky park I visited was really great. By the time I finally visited, I felt as though I'd been there before, from all my online research. A weird feeling. Thanks for commenting! I had never even heard of a dark sky park but I'm glad such things exist so that more people can appreciate the true beauty of the night sky. Guess I am fortunate that I have almost always lived where there is a minimal amount of light pollution. Sleeping out under the stars is something everyone should do at least once! And while I would love to see Earth from far above I have never hungered to go into space myself; I don't seem to have that adventurer gene. I have tried to imagine being strapped into a rocket at lift off. It truly makes my stomach queasy. :-) Those people are astonishingly brave. If I had the opportunity, I'd go in a heartbeat . . . .
Joan is braver than I am! I used to live where I could see the stars. I miss them! The dark sky park I visited was such a treat. Can't wait to go back. Thanks for commenting! I can hardly wait to read your new book, Lori! My husband and I found the dark sky park (during the day, sadly) on one of our trips to Mackinaw City. Getting there at night is on my list of things to do up north. How cool that your cousin is an astronaut! As a kid I wanted to be an astronaut. That was before I realized my congenital hearing loss meant I wasn't qualified. I've met astronaut Story Musgrave (he's SO cool!) and I now know that I'm not nearly smart enough to be an astronaut. These guys and gals are my heroes. And can you believe that’s his real name? Amazing. I want to change my name to "Story." When I went to the park, Cathy, it was CLOUDY. I can't wait to go back and am hopeful I can catch it on a better night... Thanks for commenting! Oh, fantastic! And headed right over there to look at! Hooray! Kristopher, you're the best! Thank you so much for your thoughtful reading of my books! About fifteen years ago I took an Adult Ed class in Astronomy. It was the best Adult Ed class I ever took. I planned on signing up for it every semester, but the teacher left the state and nobody has taken over the class. I could spend hours gazing at the stars. When we're on vacation we get to see much more of the night sky than is visible in Southern CT. Last year I spent so much time gazing overhead that it's a wonder my head didn't break away from my shoulders! What is your secret for the neck situation? We watch the Perseids on our pool chairs! My secret is Tylenol:-) or leaning back against a car. Oh, I want to take that class! When I was in the eighth grade, my science class did an intense section on astronomy, and I've always had a soft spot for Cassaeopia, which I could see from my bedroom window. Thanks for commenting! I really miss the stars. When I lived out in the country I'd take the dogs for long walks at night so I could see the amazing stars, even though there was some light pollution even as far out as I lived. Now that I have traded that magnificent solitude for the pizza delivery and high speed internet of the city, night walks just aren't the same. I really miss them. I grew up out in the country and had easy access---didn't know what I had when I had it. Now I live in Chicago, and you can't see more than the moon and maybe Venus. Not enough! 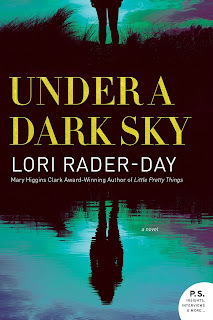 Lori, I LOVE YOUR WRITING and I have UNDER A DARK SKY right here and I can't wait to read it. I just wish we could SEE the stars. When I went to camp in the Arizona mountains in the 60s, I discovered the Milky Way... a great white smear across the sky. Despite trips to Peru and Alaska, I've not seen anything like it since. Light pollution makes it easier to identify the constellations we can see. Cassiopeia Orion's Belt Big and Little Dippers And of corse MARS which has been so bright of late. Looking now for a dark sky park. The headquarters of the IDA is in...Arizona! That's a great place to see the stars. Even when I was in Tucson, it was easy to see the stars in the TOWN. That's crazy. They do a great job with controlling light pollution there. Thanks for commenting, and THANK YOU! I have always had an interest in the stars, and have done a fair amount of camping where I am far enough from city light pollution to enjoy the view. But my husband is much more of an enthusiast. He has always followed everything NASA with the deep attention to detail of one who might have to report on it at any moment. He knows the trivia and minutia and loves it all. We are both avid fans of Apollo 13, as well as plenty of not-accurate space movies. I have never met an astronaut, though here in Columbus John Glenn's presence is everywhere. He is a beloved hero both for his time as an astronaut and as a public servant afterward. About a year ago our main airport was renamed John Glenn Columbus International. You live in astronaut/flight CENTRAL! Birthplace of flight! Thanks for commenting, Susan! I love this--and I love everything space exploration. I'll never forget the time we visited Kennedy Space Center. I burst into tears when I saw one of the Saturn V rockets. Astronauts are heroes! Buzz Aldrin used to have a home in Central Oregon and I was THIS close to interviewing him for a video we were doing at work. Alas, it didn't pan out. Yes! I can understand you emotion! I get it. If I ever get to the Smithsonian, I think I'll just have to carry a box of Kleenex for all the things I will cry when I see... Thanks for commenting, Kathy! Congratulations, Lori! A real astronaut - that's awesome. And good to hear "Apollo 13" got it mostly right because I love that film. I love stargazing, but living near Pittsburgh washes out a lot of the stars. I looked up my nearest dark sky park and it's not close. I do remember the stars at college being clearer (smaller city, less light pollution). But the only constellation I can routinely identify is the Big Dipper. And it’s still fun to see it, right? There's an IDA chapter in Pittsburgh, though, and I might be coming to speak to them... My fingers are crossed! There are going to be more and more dark sky parks. It takes some work on the part of the park staff to make it happen, but the IDA has doubled the number of parks in the last couple of years. Don't give up. Make some noise for a park nearby. Have you been to http://darksky.org/idsp/parks/cherrysprings/ ? No, I think that's the closest, but it's still a couple hours away. I'd have to plan a trip. And if you come to Pittsburgh, let me know - we'll do lunch! I love this interview! We are big space junkies in my family. My brother Dane is a aerospace engineer, so I asked if he knew or had ever met Jerry. No, but Dane worked with Jerry's daughter Amy several years ago, in spacesuit development, proving that space is big but Earth is full of small world stories. Now I have to buy Lori's book for myself and Jerry's for my brother! Small world is right—amazing connection! Now AMY would *definitely* be my cousin. :) How cool! Thank you for commenting and reading, Ramona! My late husband and I got married out in the middle of nowhere in Montana, on a free range ranch that overlook Glacier National Park. The night sky was beyond amazing and we lucked into a full moon. Looking up made us feel like were in space. The difference with little light pollution is profound. I'll never forget it. 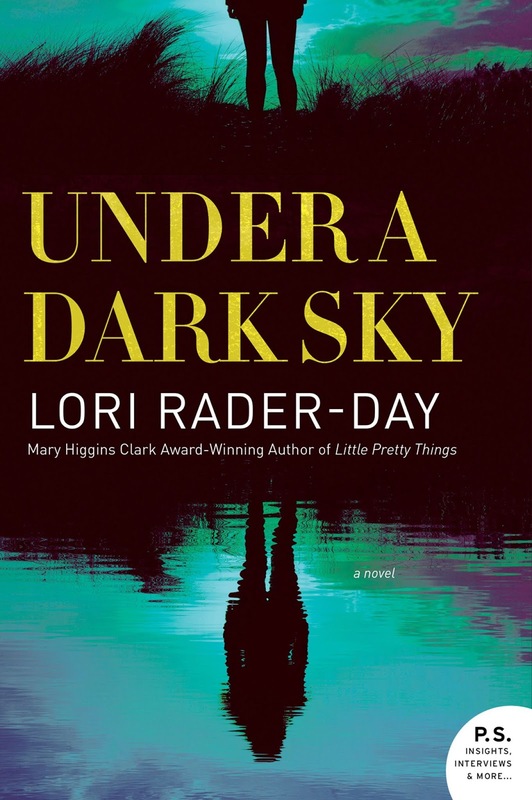 So looking forward to Under the Dark Sky, Lori! Oh my gosh. Now I want to buy you coffee and sit with you and find out ALL about the journey that brought you to your wedding day. Thanks, Julie! Glacier will probably be designated a dark sky space one of these days. It just takes some paperwork---probably a LOT of paperwork. What a beautiful places to get married! I got married on top of the Empire State Building! I love this!! I remember watching the moon landing and I still don't have the right combination of words to express my feelings about the event. I too have never heard of a Dark Sky park so I just Googled it. Apparently there is one here in California and it is now on my list of places to go. Can't wait. Thank you for sharing this. This is why I read. My life becomes bigger, so much bigger. Waving at Lori! So excited about your new book, and seeing what you do with this venue. My youngest daughter wanted to be an astronaut, so the last ten or twelve years of my child-rearing days were spent dragging her or being dragged to the Cincinnati Observatory, the Air & Space Museum in DC, Cape Canaveral, Space Camp in Huntsville, the SAC Museum in Nebraska, Dayton's National Air Force Museum, and a jillion Civil Air Patrol meetings. And the Air Force Academy, when she was nominated for a spot there for college (she chose not to try for it). Somewhere in here she met Storey Musgrave, and has a much-prized signed certificate from him. By default, I became an enthusiast, as well. When we first bought our farm in rural Kentucky, ten years ago, we could very clearly see the Milky Way, right over the house. Which is pretty amazing, since the farm is only forty miles from Cincinnati. Not long after, though, the town put streetlights on the road below us, and now there is a blasted brilliantly lit cell tower that has ruined our night sky viewing. So upsetting. However, we had some lovely times watching meteors and spotting constellations, checking out the International Space Station passing overhead, and seeing Mars, Jupiter and Saturn at various times. It makes me very sad that today's children don't have the opportunities we've had to see the stars in such clear ways. Such fascinating experiences! Lori, what a wonderful compliment to UNDER A DARK SKY which, btw, sounds terrific. I knew about light pollution, of course, but I had no idea there were dark sky camps. I swear, JRW is like graduate school sometimes. Always something new. Ha! I love that. Thank you so much for commenting, Julia! Lori, what a fascinating post! I've never met an astronaut, much less been related to one, but I have been a huge admirer since childhood. My big thrill on my last book tour was doing an event in Cocoa Beach, Florida. I got to see Cape Canaveral, and my hosts took me on a tour of the Cocoa Beach neighborhood where the astronauts where supposed to have lived in I Dream of Jeanie. Really, it was mostly the engineers who lived in the little canal-side bungalows, but you can still see some of the restaurants where the astronauts hung out. I was a huge admirer of Sally Ride, and was absolutely devastated when Christa MacAuliffe and the other six astronauts died in the Challenger. I remember exactly what I was doing when that news broke. As I live in metro Dallas, we have horrible light pollution--and we have a street lamp on the corner of our front yard! But I still look at the sky most nights, and take every opportunity when I am anywhere with better visibility. And I watched the lunar eclipse on Saturday afternoon, broadcast (I think) from South Africa. It was amazing!! Lori, can you tell us more about your book? I'm looking forward to it--of course--but am now looking up Jerry's, too. Thank you so much for introducing us to him. Weird coincidence: our daughters' elementary school principal was in line before Christa MacAuliffe to be on the Challenger, when she found out she was pregnant. It disqualified her. Doesn't that give you the shivers? Thank you, Deborah! Under a Dark Sky is about a young widow who finds a reservation for a dark sky park guest house stay in her husband's effects, and even though she's afraid of the dark, she decides to go and try to get back to the living. When she gets there, though, it's not a romantic getaway she's on by herself---there's a group of 20-somethings in the guest house, too. She decides to go home but in the night, she wakes to screams. One of the other guests is dead. Fabulous book, and fabulous story! How cool that you are related to an astronaut!! I loved all the info about space that was interspersed into the story (to say why would give it away, but it was one of my favorite touches). You all have to read it! Lori, your cool level is always on the rise. Imagine, a cousin who is an astronaut! And, he was such a visionary, to decide early that space was going to be an important career. Thank you for bringing us this great interview with him. Talk about living your dreams. He certainly has. And, Under a Dark Sky is, as Mel B. says, off the chain. Oh, wow, I finally have my beginning line for the review. I have been stewing over this for days. I know that authors stew over first lines of books. Well, reviewers, or at least this reviewer, obsesses about first lines in reviews, especially for books we love. Having said an author and her writing is brilliant, which yours is, or is always something you can't wait for, which I can't, has often been said before for the author. Under a Dark Sky deserves some originality from me, and with hubby now gone for another month, I will deliver this week. Thanks goodness I got Lucy's amazing book reviewed before chaos set in in my life. (Rhys, I will have to wait for a copy to arrive from Amazon, but I know I'll love yours, too.) Lori, congratulations on another stellar book. Oh, the words are coming now. Gotta go. Stellar! I see what you did there! Thank you so much, Kathy! I can't wait. When NASA decided to build the space center near Houston it was a huge boost. I think our population was hovering at just under a million at the time. We became Space City. I think I was in 4th grade when we had the first space launch with Alan Shepherd. All the classrooms scrambled to find a parent willing to bring a portable TV to school so we could watch history. Those were exciting days and I am still thrilled by the space programs, ours and other countries'. I got to tour Cape Canaveral several years ago, which included lunch with a retired astronaut. I've attended lectures at the Museum of Natural Science that astronauts have given and it is so exciting to see them share their knowledge and enthusiasm with school kids. It would have been so exciting to fly in space, but I am science-challenged so that was never going to happen. As for stargazing, I try to get out to my sister's place in the country for the annual meteor shower in August. Outstanding. We have sprawled out in the pasture with dogs and nosy horses and endured neck aches to watch that fantastic show. I have to find out more about your book, Lori. It sounds fantastic! Yes, the meteor showers are so special--Jonathan and I saw them on the day we met! How cool to live in Space City, to be the town that is so closely associated with space exploration! I hope you like the book, Pat. Thanks for commenting! Great post, Lori! I had the privilege of meeting Yi So-Yeon, the first Korean in space, and it was fascinating. What a treat to pick the brain of someone who's had such a unique experience! Looking forward to your latest! Thanks, Ingrid! Hope to see you at Bcon? I remember pulling off the road in the middle of nowhere Texas. It was dark except the stars at night were big and bright...just like my Texan Mother had always assured me. It was wonderful. Living in the suburbs of a major city means stars are lighter, but I still enjoy looking at them. Thanks to the Jungle Red Writers for Lori and Jerry's stories. I need to add visiting a dark sky park to my bucket list. Oh, Missy, I so agree! xoxo It's on my list, too. You really do, Missy! You can find options at darksky.org. Hey, everyone! I'll go answer individual questions right now, but wanted to thank you for stopping by today. I had a funeral to go to, bad timing for answering your posts, but alas, that's adult life. Thanks for reading!! What a fascinating interview! I like looking at the stars, unfortunately, there's too much light pollution near me. Maybe a vacation in the future might have a dark sky space nearby... Thanks for commenting, Jana! I absolutely cannot imagine what would possess someone to volunteer to "dangle" in space. One person's delight is another person's darkest nightmare, I guess! What an intriguing man, and a lovely interview! Oh, I KNOW, right? My stomach drops just thinking about it. Thanks for commenting, Keziah! LOOOOORRRRIIII -- saying "hi." Excited to read the book (as ever). No question from me, just a virtual hug!